A round up of information, videos and details from Xbox at this years Gamescom with everything on a page for you. We’ve had some more gaming updates from the Xbox team as the launch of the Xbox One X get’s closer gamers. Here we have your Xbox Gamescom 2017 round up which includes a big reveal of the Project Scorpio edition of the new console. Plus there was some more information and details on upcoming games. There is some nice games on show, but with Crackdown 3 put back is it enough for a new console launch? Let me know what YOU think in the comments please gamers. Check out a rundown of what happened during the Xbox live stream with official details from Microsoft and some videos and information thrown in. 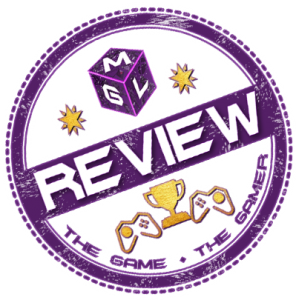 It’s all on one page so have no fear, MGL is here! Help us out by Sharing This on your social media page to save fellow gamers some clicks. Enjoy! 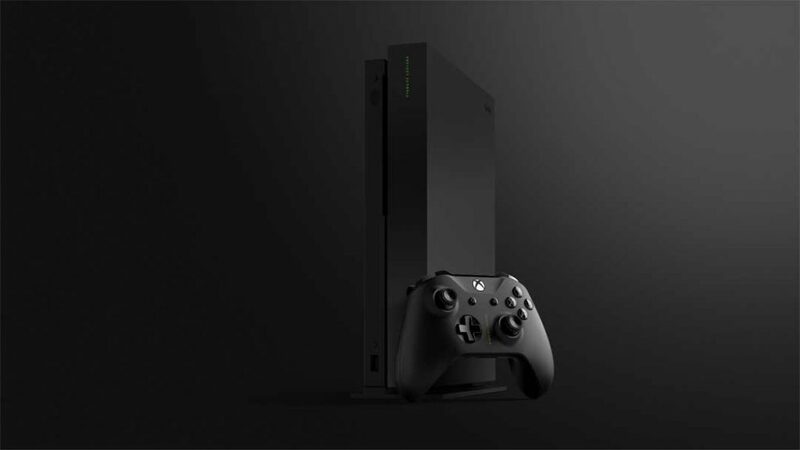 Today, during Xbox @ gamescom Live, we announced global pre-orders for Xbox One X starting today, with a limited edition, fan-inspired design of the world’s most powerful console that features a custom colour and vertical stand and the words “Project Scorpio” printed on the console and Xbox Wireless Controller. Pre-orders are now open and available here. November 7 can’t come soon enough! Halo 5, NBA 2K18, Wolfenstein II: The New Colossus, ReCore: Definitive Edition, FIFA 18, Star Wars Battlefront II, Below and remastered versions of Disneyland Adventures, Rush: A Disney-Pixar Adventure and Zoo Tycoon. Head on over to Major Nelson for the full list of games planning enhancements for Xbox One X. Regardless of what type of gamer you are, there has never been a better time to be Xbox fan. Be the first to experience the Xbox One X designed for the biggest fans — the Project Scorpio Edition featuring a custom colour, vertical stand, and “Project Scorpio” printed on both the console and controller. Available to pre-order now, starting at £449 GBP, while supplies last. Visit the Microsoft Store for more details. For the countless enthusiasts who’ve sent us their designs, posted their requests, or simply dreamt of a console built out of grass and dirt blocks – this one’s for you. The Xbox One S Minecraft Limited Edition Bundle (1TB) includes a custom designed grass block console, Xbox Wireless Controller – Minecraft Creeper, Minecraft system sounds, vertical stand and transparent underside with Redstone circuit accents. This exclusive bundle also includes a full game download of Minecraft plus the Redstone Pack, a collection of unique skin packs. Available only in limited quantities, it’s a must-have for avid Minecraft players and collectors. The bundle is available for pre-order now and will be launching on October 3, 2017, starting at £349.99. Visit the Microsoft Store for more details. Also available exclusively at Argos and Sainsburys. Prepare to create, explore, and survive your own Minecraft adventure with two new Xbox Wireless controllers: the Minecraft Pig controller, featuring an adorable pink Pig design – and the Minecraft Creeper controller, with that iconic green Creeper design. 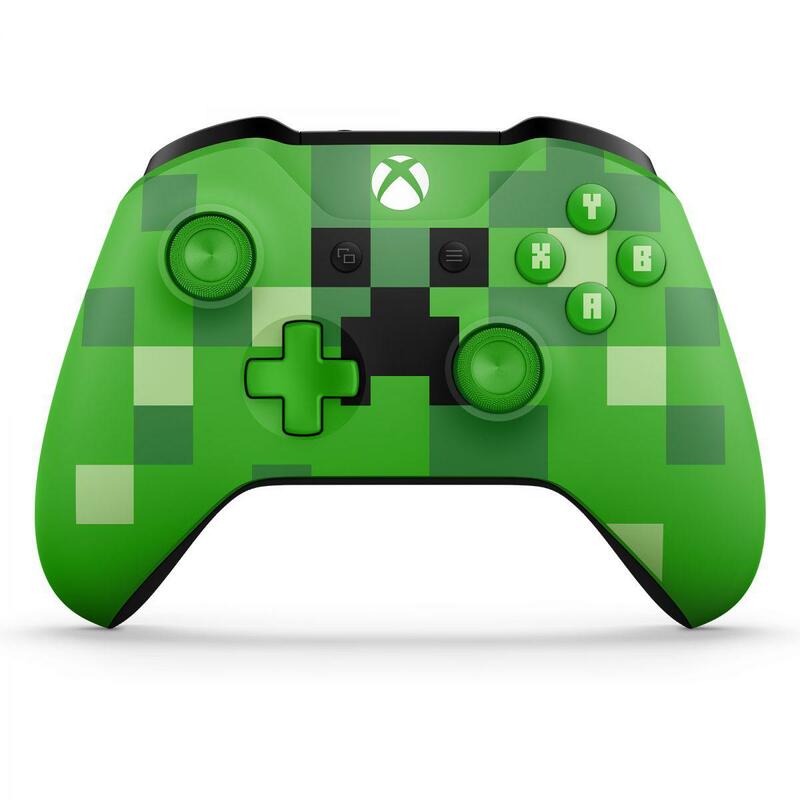 Both feature textured grip for enhanced comfort, and ABXY buttons with classic Minecraft font. Play the way you want to play with custom button mapping to personalise your controls and Co-pilot to play any game with two controllers linked so you can use them as one. And with Bluetooth technology, you connect your controllers to play wirelessly with your Windows 10 PCs and tablets. Both of these controllers are available for pre-order at selected retailers now, and will be available market-wide from September 21 2017. Priced at £64.99. Visit the Microsoft Store for more details. Also available at GAME. For those who can’t wait to get their hands-on Middle-earth: Shadow of War, the new Xbox One S Shadow of War Bundle are the best way to do it this October. The bundle comes with an Xbox One S and a 500GB or 1TB hard drive, Middle-earth: Shadow of War, an Xbox Wireless Controller, 1-month Xbox Game Pass subscription and 14-day Xbox Live Gold trial. The 1TB version is available to pre-order now for £299.99. Visit the Microsoft Store for more details. Also available at GAME. The 500GB version will be available at a later date. We’re thrilled to announce that we’re expanding Xbox Design Lab to over 20 additional European countries starting August 22, 2017. This extends Xbox Design Lab beyond United States, Canada, Puerto Rico, United Kingdom, France and Germany. On August 22, fans living in Austria, Belgium, Denmark, Ireland, Italy, Netherlands, Poland, Portugal, Spain, and Sweden will be able to order their custom controllers online through local-language websites. In addition, the European Union websites above will enable shipping to Bulgaria, Croatia, Cyprus, Czech Republic, Estonia, Finland, Greece, Latvia, Liechtenstein, Lithuania, Luxembourg, Romania, Slovakia, and Slovenia. The Xbox One family will receive a big update with a new look – available now in preview – designed to make the Xbox gaming experience more personalised and social than ever. Now, you can customise your Xbox One Home to be uniquely yours and view all the content you love at-a-glance! Further details about what’s next for gamers on Xbox are available here. During Xbox @ gamescom Live, we showcased one of our largest, most diverse line-up of games from developers around the world and highlighted our commitment to delivering amazing games and experiences for gamers on both console and Windows 10 PCs. Playerunknown himself, Brendan Greene, joined the Xbox @ gamescom Live event to discuss the epic Battle Royale title that is coming exclusively to Xbox One in the Xbox Game Preview program later this year and to announce that the game will be published by Microsoft on Xbox One. As an expansion of the partnership announced at E3, this collaboration will help Bluehole accelerate console development while maintaining quality across platforms and provide resources ranging from technical to sales and marketing. We are proud to have great games coming to PC, including Age of Empires: Definitive Edition, Forza Motorsport 7, Crackdown 3, charming platformer Super Lucky’s Tale and cross-play between Xbox and PC on fan favourite Sea of Thieves. We are bringing more features and games to PC gamers around the world including things like Mixer broadcasting, updates to Game Mode, Game Bar and added support for HDR screenshots. Building on the momentum from our new gaming membership, Xbox Game Pass, which gives you unlimited access to over 100 Xbox One and Xbox 360 games – for one low monthly price, all in full fidelity, without any streaming or connectivity issues, we’re bringing Game Pass to eight new countries: Argentina, Brazil, Israel, Saudi Arabia, Slovakia, South Africa, Turkey and UAE. Next month we will also add seven new titles including ReCore: Definitive Edition. It will also be available as a digital and retail purchase as well as a free upgrade to existing ReCore players. Journey into Ancient Egypt, the most mysterious place in history, during a crucial period that will shape the world. Discover the secrets behind the Great Pyramids, forgotten myths, the last pharaohs, and the origin story of the Assassin’s Brotherhood. For the last four years, the team behind Assassin’s Creed IV Black Flag has been crafting a new beginning for the franchise. Fight in a completely new way where you transition seamlessly between unique ranged and melee weapons, and take on multiple enemies at once. Available across the Xbox One family of devices starting October 27, 2017 and as an Xbox One X enhanced title alongside the console’s launch on November 7, 2017. Halo Wars 2: Awakening the Nightmare is a full expansion coming to Halo Wars 2, featuring a new campaign with Blur cinematics, exclusive new multiplayer Leaders. New maps playable across Halo Wars 2 classic multiplayer and Terminus Firefight – a unique game mode in the expansion set on a dynamic map where players build bases and armies to defend against waves of enemy forces. Halo Wars 2: Awakening the Nightmare releases on Xbox One and Windows 10 PC on September 26 and as an Xbox One X enhanced title with 4K and HDR support on November 7. Announced earlier this year, Halo 5: Guardians returns as an Xbox One X enhanced title with 4K support and is set for release this holiday. ReCore: Definitive Edition lets players experience the game’s mysterious and dynamic world with enhanced visuals (increased resolution and HDR), a brand-new adventure, and the long-awaited T8-NK Corebot who joins Joule, Mack, Seth, Duncan, and Violet as they explore new environments and dungeons while battling the deadly Obsidian Cult. The game will be available next week, on August 29, and the enhancements and additional content will be provided as a free content update for current owners of original ReCore release. New players can download the ReCore: Definitive Edition within their Xbox Game Pass membership or purchase it for £29.99 as an Xbox Play Anywhere game for Xbox One and Windows 10 PC. Forza Motorsport 7 is the first Forza game built from the ground up for Windows 10 PCs. It is the ultimate racing experience with over 700 cars, dynamic skies and weather that are different every time you return to a track, a new career mode inspired by real-world motorsport and support for a wide range of PC configurations and peripherals. Also, for the first time ever, fans who want to test drive Forza Motorsport 7 on Windows 10 PCs can play the demo ahead of the game’s release. Forza Motorsport 7 is available for pre-order on Xbox One and Windows 10 PCs as an Xbox Play Anywhere title, releasing globally on September 29 for Ultimate Edition with Early Access and October 3 for Deluxe and Standard Editions. Stay tuned to Xbox Wire and ForzaMotorsport.net for additional details on Forza Motorsport 7 demo in the coming weeks. We’re taking a deeper look at how State of Decay 2 is bigger, badder and bolder than the previous game. The number one ask from fans was to bring four player co-op multiplayer, and that’s exactly what we did. State of Decay 2 features cross-platform co-op, where you and up to three of your friends can survive together regardless of which platform you prefer to play on. During today’s livestream Frontier Developments debuted their newest title Jurassic World Evolution, launching in summer 2018. Jurassic World Evolution places players in control of operations on the legendary island of Isla Nublar and the surrounding islands of the Muertes Archipelago and challenges players to build their own Jurassic World as they bioengineer new dinosaur breeds, and construct attractions, containment and research facilities. Every choice leads to a different path and spectacular challenges will arise when “life finds a way.” Find out more at https://www.jurassicworldevolutiongame.com. Coming to Xbox One as a console launch exclusive in Xbox Game Preview later this year, Playerunknown’s Battlegrounds is a tactical, last-man-standing shooter being developed with community feedback where players must fight to locate weapons and supplies in a massive 8×8 km island to be the lone survivor. With Sea of Thieves, we are extremely excited to show off cross-play for the first time, showing that Sea of Thieves is a game that brings players together, regardless of device. Alongside this, we’re delivering the PC experience our players expect, with the game playable in 21:9 and 4K and 60FPS on the show floor. Since the Insider Program launched, players on both PC and console have shared valuable feedback that has already helped shape Sea of Thieves. Join the Insider Program for a chance to play the Technical Alpha and shape the game into the pirate game you’ve always wanted on Windows 10 PCs and Xbox One. Wield a new Ring of Power and confront the deadliest of enemies, including Sauron and his Nazgul, in a monumental battle for Middle-earth. This open-world action RPG is brought to life through the expansion of the award-winning Nemesis System. The robust personalisation from Middle-earth: Shadow of Mordor is now applied to the entire world where the environments and characters are all shaped by player actions and decisions, creating a personal world unique to every gameplay experience. Available as an Xbox Play Anywhere title across the Xbox One family of devices and Windows 10 starting October 10, 2017 and as an Xbox One X enhanced title alongside the console’s launch on November 7, 2017. Available (finally) beginning September 29, 2017, as an Xbox Play Anywhere title, Cuphead is a classic run-and-gun action game heavily focused on boss battles. Inspired by cartoons of the 1930s, the visuals and audio are painstakingly created with the same techniques of the era, i.e., traditional hand-drawn cel animation, watercolour backgrounds and original jazz recordings. Play as Cuphead or Mugman (in single-player or local co-op) as you traverse strange worlds, acquire new weapons, learn powerful supermoves and discover hidden secrets while you try to pay back your debt to the devil! Haemimont Games and Paradox Interactive debuted their first gameplay trailer for their upcoming management and survival game, Surviving Mars. In Surviving Mars, players will experience the wonder and danger of the red planet. From Landing your first rocket to building up a bustling metropolis of domes that house your first colony. Tackle the dangers of life support with the help of drones, survive meteor storms and discover mysteries. Welcome to life on Mars. Experience the magic of Disneyland Park like never before. Take a journey where stories come to life and dreams come true, right in your living room. 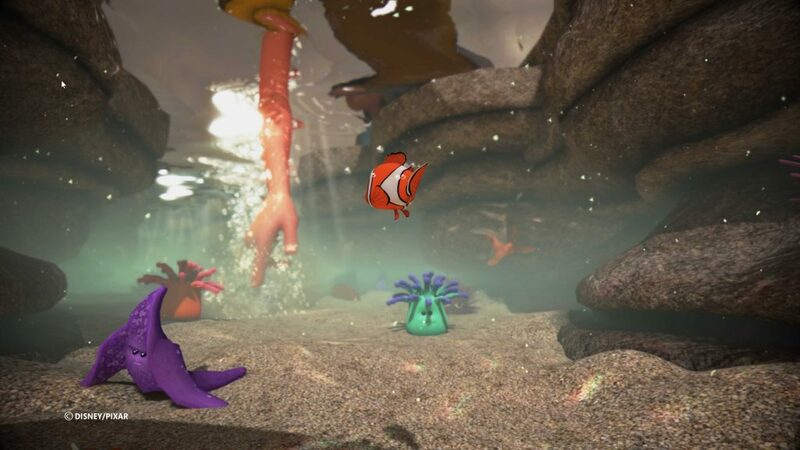 Rush: A Disney-Pixar Adventure invites families and fans of all ages to experience the worlds of six beloved Disney-Pixar films like never before. Team up with characters from “The Incredibles,” “Ratatouille,” “Up,” “Cars,” “Toy Story,” and “Finding Dory” to solve puzzles and uncover hidden secrets, all remastered in 4K Ultra HD and HDR. Let your imagination run wild with Zoo Tycoon: Ultimate Animal Collection, now remastered in 4K Ultra HD and HDR. 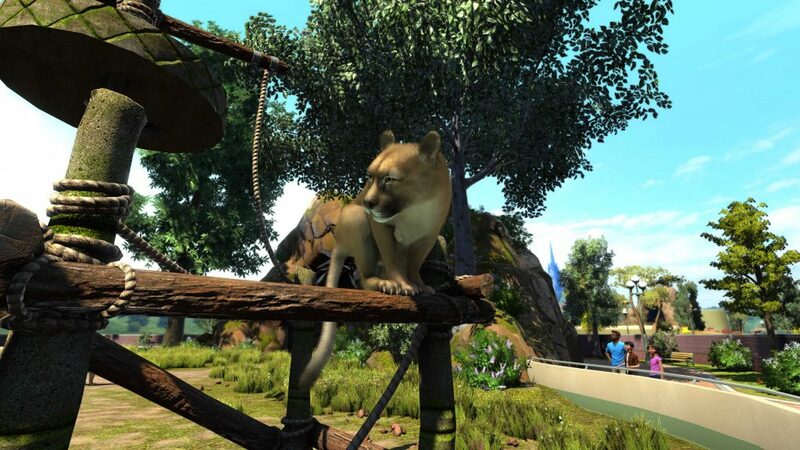 Build, manage, and maintain your dream zoo alone or with up to four players on Xbox Live. 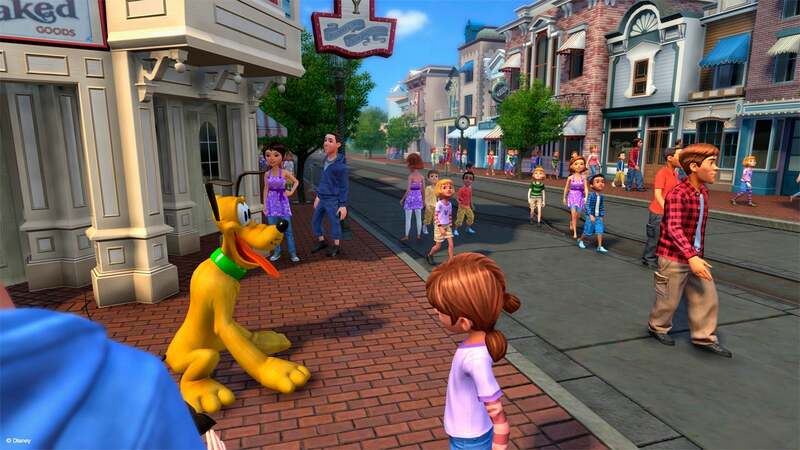 This zoo simulation will charm animal lovers of all ages. Developed by Playful Corp., Super Lucky’s Tale is a delightful, playground platformer for all ages that follows Lucky, the ever-optimistic, energetic, and lovable hero, on his quest to find his inner strength and help his sister rescue the Book of Ages. Along the way, players encounter a hilarious supporting cast of friends and adversaries. Available on November 7, Super Lucky’s Tale will deliver a state-of-the-art gaming experience on the Xbox One family of devices and Windows 10 PCs and supports Xbox Play Anywhere. Previous articleWill there be more Uncharted games after The Lost Legacy? I Certainly Hope So!